Some books I’ve written along with a titles that are part of the Inc series that I developed for Chronicle Books. As the hipster classic Craft, Inc. did for crafters, this book will teach all types of creatives—illustrators, photographers, graphic designers, animators, and more—how to build a successful business doing what they love. Freelancing pros Meg Mateo Ilasco and Joy Deangdeelert Cho explain everything—from creating a standout portfolio to navigating the legal issues of starting a business. Accessible, spunky, and packed with practical advice, Creative, Inc. is an essential for anyone ready to strike out on their own. As the second decade of the 21st century begins, we’re more compelled than ever to find refuge in our homes and personalize our living spaces with DIY projects that celebrate who we are and where we’ve been. In Crafting a Meaningful Home, Meg Mateo Ilasco shares 27 projects that tell personal stories and celebrate heritage, all easily created on a budget. Learn how to decoupage a plate with photos of a best friend; silkscreen upholstery with folk motifs; artfully display love notes; sew a teepee from a vintage quilt top; or create family silhouettes for a festive banner. Contributed by a hip cast of well known designers from across the country, the projects are, at once, nostalgic, sentimental, and modern. Clear instruc tions are easy to follow, even for beginning crafters. *3rd edition in paperback coming in early 2019! The growing legions of crafters looking to turn their hobby into a profession can rely on the tried and true advice in Craft, Inc. 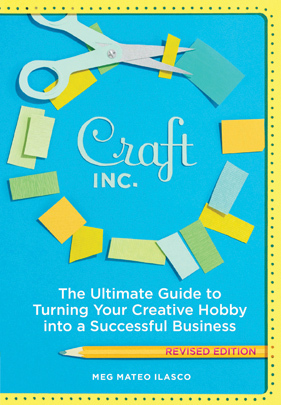 In this completely revised edition of the definitive crafter’s business book, entrepreneur Meg Mateo Ilasco offers expanded and authoritative guidance on everything from developing products and sourcing materials to writing a business plan and paying taxes. With all-new sections on opening an online shop, using social media strategically, and more—along with updated interviews from such craft luminaries as Jonathan Adler and Jill Bliss—this comprehensive primer features the most current information on starting and running a successful creative business. *2nd edition in paperback coming in 2019! This action-oriented take-along planner is packed with advice and worksheets that guide creative entrepreneurs in their hot pursuit of profit. 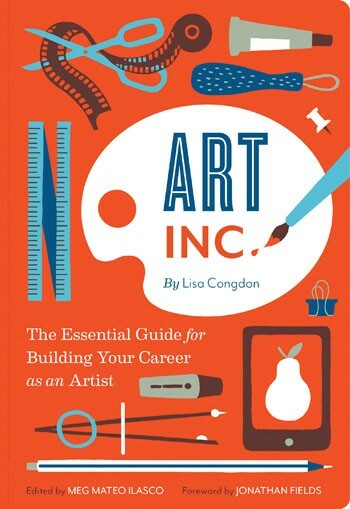 From big picture goals (writing a mission statement, developing marketing campaigns, launching a new line) to immediate to-dos (getting a business license, pricing products, packing for trade shows), this essential guide brims with how-to tips from industry experts. Roomy pockets catch important business cards, while tear-off notepad pages offer space to jot thoughts on the go. The lay-flat portfolio packaging makes this planner both easy to tote and durable enough to withstand all that the bumpy road to success may bring.